An investigation into periscopes is a brilliant way to cover light and forces with your class. Not only will it help you cover these statutory curriculum areas from the Y5 and Y6 Programmes of Study, but the investigation is also perfectly suited to the ‘Working Scientifically’ strands of these documents. 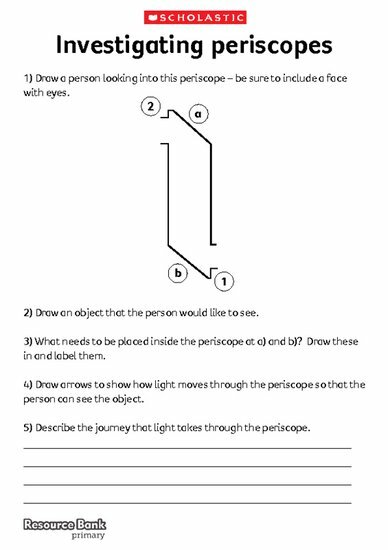 Use this worksheet to run an investigation into periscopes with your class. How does a periscope work?